Home dog boarding is a great option for your furry friend. 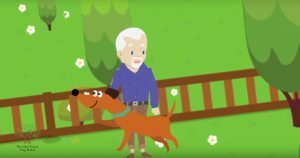 The New Forest Dog Hotel Hampshire manager Wayne worked for a few weeks with a great voice-over artist and graphic designer to create a short 90 second explainer video. It tells everyone all about the New Forest Dog Hotel and why it’s a great choice for your dog’s holiday. Home dog boarding in The New Forest Dog Hotel. Our explainer video. When you’re off on your holidays, your four-legged friend can’t always come along – so what do you do? There are many options – willing friends and family, kennels and now dog hotels. Which is the best one to choose? 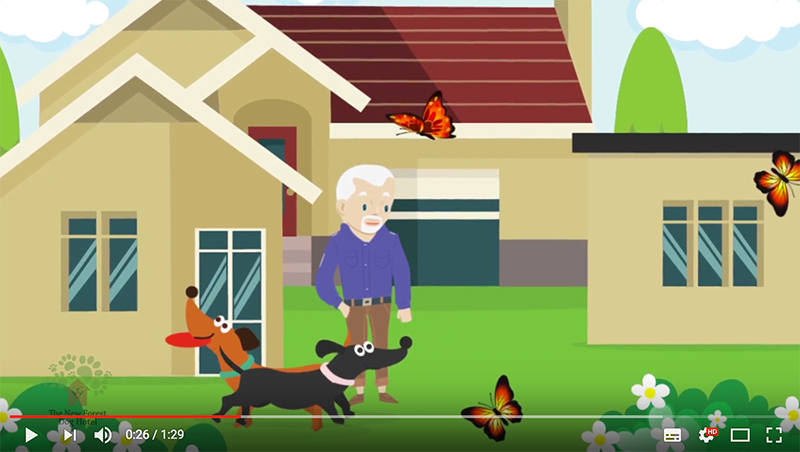 Our new explainer video will help explain why dog home boarding is a great idea! Friends and family are great – but sometimes they’re on holiday with you, so can’t help out. Or they’re too far away and you need a second holiday just to get to them to drop your dog off. Kennels offer a traditional service, but it’s not the most personal and doesn’t generally have the comforts of home that your dog is used to. That’s where a dog hotel comes in. Unlike friends and kennels, dog hotels offer a friendly, dedicated host and home. While you’re away, you can relax knowing that your dog is getting the kind of attention that they’re used to. 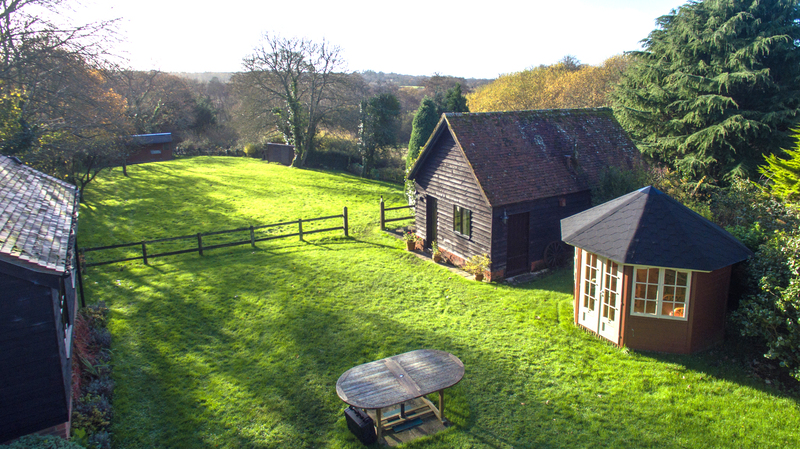 Here at the New Forest Dog Hotel, we’ve got an acre of enclosed paddock for your dog to run around in. Plenty of room to chase balls – and squirrels if they’re brave enough to come into the garden. And on those chilly evenings, we’ve got an inglenook fireplace with a log burner. It’s a very popular spot to nestle into a basket after a busy day of walking and running about in the garden. We’ve had a great time building the explainer video. We think it gives a great overview of what a dog hotel offers. What do you think? Let us know in the comments below. Drop us a line if you’re interested in your dog coming on holiday to us.